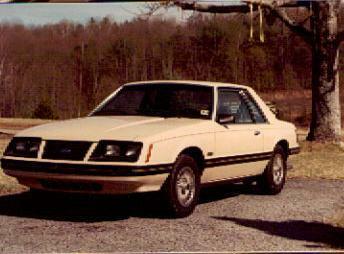 1983 Unmarked North Carolina slicktop Mustang. Extremely rare shot of an early unmarked car. Chris (Mustangpro) Photo. 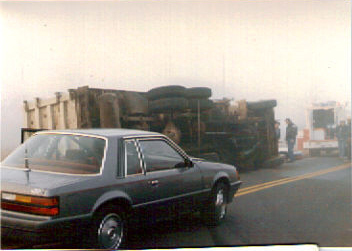 Another shot of the car above, after an in-service crash. Chris (Mustangpro) Photo. 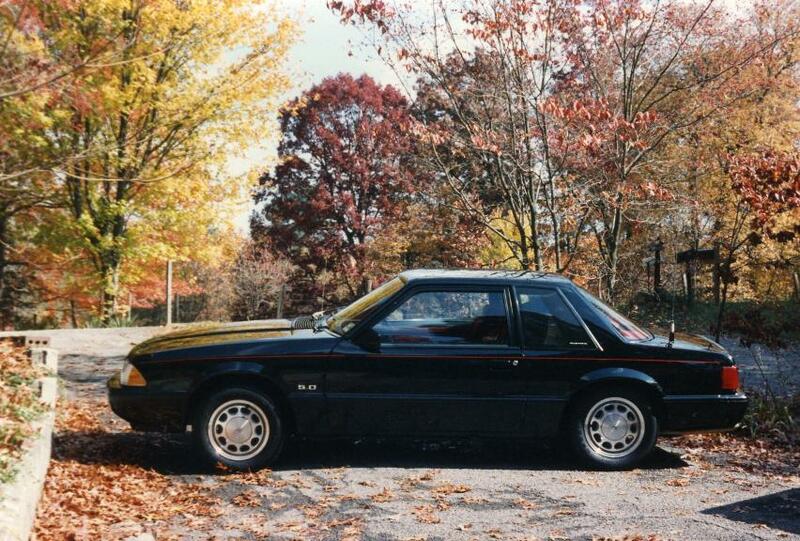 Another very rare, unmarked 1985 NCHP Mustang. 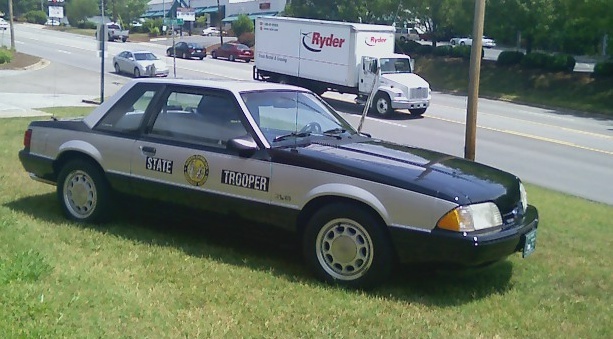 This AOD-equipped '85 ran the 14 inch wheels and full wheel covers (CFI car). Chris (Mustangpro) Photo. North Carolina slicktop Mustang. 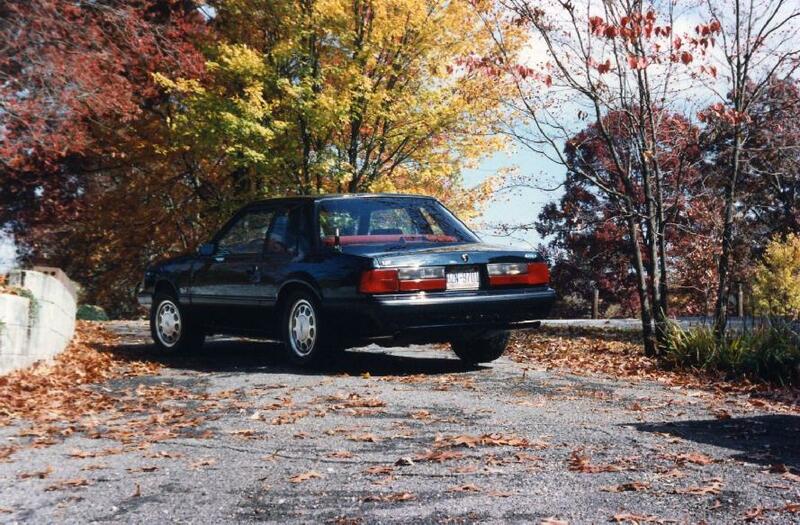 NC ran the majority of their Mustangs as slicktops. E. Prince Photo. Another NCHP slicktop. 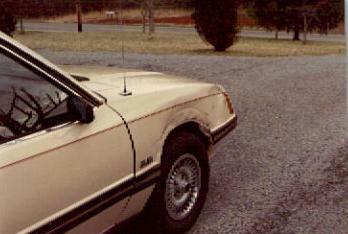 This shot shows Federal Signal's motorized decklights in the rear window of this Mustang. 1989 NCHP unmarked, slicktop. No lights visible on the rear deck. Photo courtesy of Joe H., taken by the Trooper who drove it in-service. Another shot of the 1989 NCHP unmarked car above. 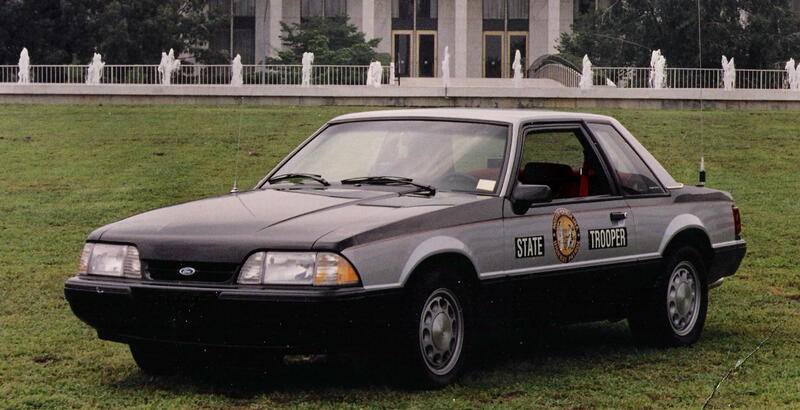 The Trooper who drove this car removed the black paint from the wheels. 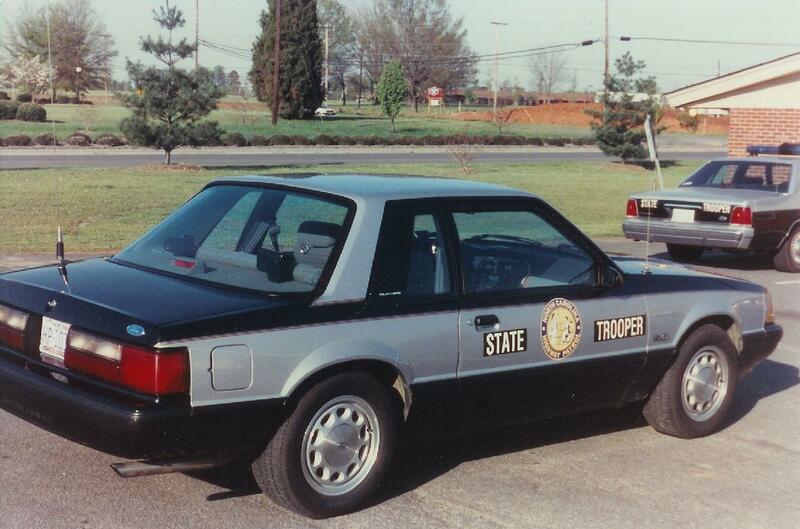 Photo courtesy of Joe H.
Last one of the 1989 NCHP unmarked. 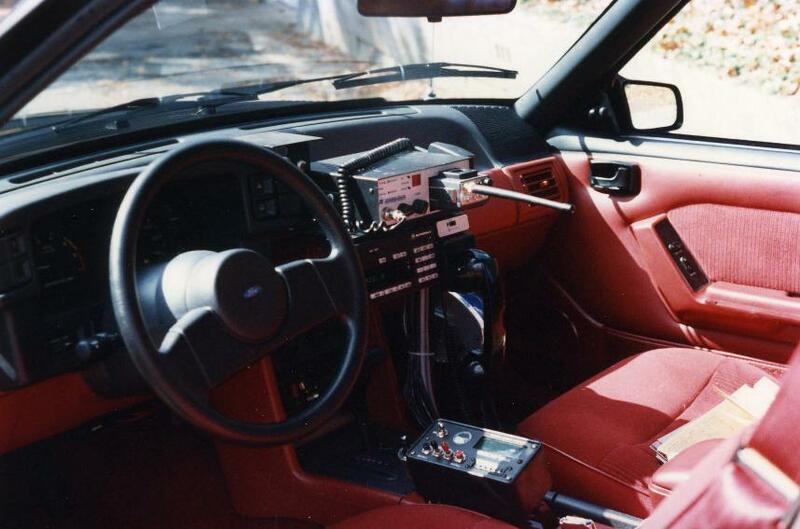 Great interior shot showing two radios (Motorola lower, unknown handheld in a convert-a-com up top), telephone handset microphone, and the VASCAR unit. Photo courtesy of Joe H.
NCHP slicktop, still used by the Patrol for display purposes. Photo courtesy of Joe H.